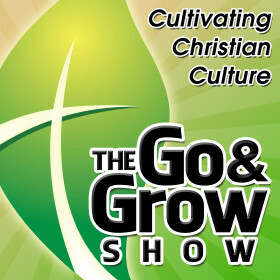 In this episode we discuss the importance of church and waiting on God’s timing. Over half of all millennials raised in a church have stopped attending. Having a personal relationship with God is vital, but out of the overflow we should be led to fellowship with others. While we wait on God’s timing we should trust Him and develop the gifts He gave us. Ephesians 4:11-16 – 11 And He gave some as apostles, and some as prophets, and some as evangelists, and some as pastors and teachers, 12 for the equipping of the [a]saints for the work of service, to the building up of the body of Christ; 13 until we all attain to the unity of the faith, and of the [b]knowledge of the Son of God, to a mature man, to the measure of the stature [c]which belongs to the fullness of Christ. 14 [d]As a result, we are no longer to be children, tossed here and there by waves and carried about by every wind of doctrine, by the trickery of men, by craftiness [e]in deceitful scheming; 15 but [f]speaking the truth in love, [g]we are to grow up in all aspects into Him who is the head, even Christ, 16 from whom the whole body, being fitted and held together [h]by what every joint supplies, according to the [i]proper working of each individual part, causes the growth of the body for the building up of itself in love. Hebrews 4:12 – 12 For the word of God is living and active and sharper than any two-edged sword, and piercing as far as the division of soul and spirit, of both joints and marrow, and able to judge the thoughts and intentions of the heart. Titus 2:3-8 – Older women likewise are to be reverent in their behavior, not malicious gossips nor enslaved to much wine, teaching what is good, 4 so that they may [b]encourage the young women to love their husbands, to love their children, 5 to be sensible, pure, workers at home, kind, being subject to their own husbands, so that the word of God will not be dishonored. 6 Likewise urge the young men to be [c]sensible; 7 in all things show yourself to be an example of good deeds, with [d]purity in doctrine, dignified, 8 sound in speech which is beyond reproach, so that the opponent will be put to shame, having nothing bad to say about us. Acts 2:42-47 – They devoted themselves to the apostles’ teaching and to fellowship, to the breaking of bread and to prayer. 43 Everyone was filled with awe at the many wonders and signs performed by the apostles. 44 All the believers were together and had everything in common. 45 They sold property and possessions to give to anyone who had need. 46 Every day they continued to meet together in the temple courts. They broke bread in their homes and ate together with glad and sincere hearts, 47 praising God and enjoying the favor of all the people. And the Lord added to their number daily those who were being saved. Gal 5:22-23 22 But the fruit of the Spirit is love, joy, peace, patience, kindness, goodness, faithfulness, 23 gentleness, self-control; against such things there is no law. Isaiah 55:9 – “For My thoughts are not your thoughts, Nor are your ways My ways,” declares the Lord. 9 “For as the heavens are higher than the earth, so are My ways higher than your ways and My thoughts than your thoughts. Genesis 50:20 – 20 As for you, you meant evil against me, but God meant it for good in order to bring about this present result, to preserve many people alive. Psalm 23:4 – Even though I walk through the valley of the shadow of death, I fear no [b]evil, for You are with me; Your rod and Your staff, they comfort me. Psalm 105:4 – Seek the Lord and His strength; Seek His face continually. John 14:27 – 27 Peace I leave with you; My peace I give to you; not as the world gives do I give to you. Do not let your heart be troubled, nor let it be fearful. Proverbs 3:6 – In all your ways acknowledge Him, and He shall direct your paths.